Why Give to Northwest Pilot Project? PORTLAND — Thanks to $100,000 in emergency funding from Multnomah County and CareOregon, Northwest Pilot Project will offer a year’s worth of rent assistance and case management to nearly two dozen tenants facing eviction from one of downtown’s last unsubsidized affordable buildings. 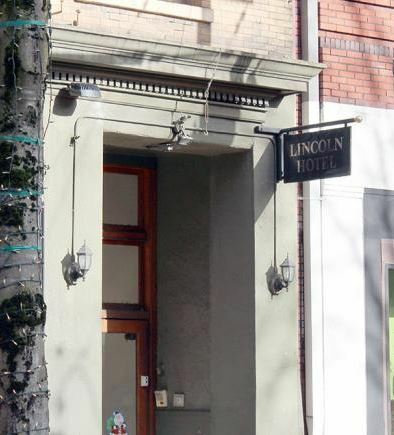 Northwest Pilot Project is already assessing residents at the Lincoln Hotel, a single-room-occupancy building at SW 10th Avenue and Morrison Street, and working on relocation plans. Residents learned just before Christmas that the building was being sold and that they’d need to find new homes by March 31, 2019. Rents at the Lincoln are low, just $440 to $550 a month. But because most tenants are seniors or have disabilities, they rely on fixed incomes to pay for their rooms and all of the rest of their expenses. That means, without help, many would struggle to keep up with higher rents somewhere else, or face homelessness. Rent assistance, along with relocation payments provided under the City of Portland’s 2017 ordinance, will give Northwest Pilot Project a tool to keep residents stably housed in the short-term. The senior-focused nonprofit has also added a housing staff to focus on this relocation effort. The temporary funding will give case managers precious time to help residents find affordable apartments and additional subsidies they can rely on for the long-term — the same kinds of services Northwest Pilot Project offers to hundreds of other clients over the course of a year. “Northwest Pilot Project felt the responsibility to address the situation and to assist the residents of the Lincoln,” said Laura Golino de Lovato, the nonprofit’s executive director. “But we knew we couldn’t do it without support. We are so grateful to the County and CareOregon for their financial contributions.” Multnomah County — through Northwest Pilot Project’s contract with the Joint Office of Homeless Services — has contributed $80,000. CareOregon, a health plan that specializes in Medicaid and Medicare coverage, has given $20,000. Clark Lough, a 64-year-old with health issues that limit him to disability income, moved to the Lincoln Hotel three years ago thanks to assistance from Northwest Pilot Project. He’d hoped to stay in his centrally located home for many more years, enjoying easy access to transit and medical care — and basics like the Central Library. “I don’t think I’ll be able to walk to the Library any more,” Lough said. Lough is working with Northwest Pilot Project again, as they interview him and his neighbors. He brought in copies of his disability paperwork and other documents. Northwest Pilot Project specialists are assessing who is most vulnerable, who has the most income potential, and who might have special needs, a disability, or veteran status — all factors that that may affect their housing search. Some residents have already visited potential new apartments or moved to new places. “Nobody has to travel to meet with the case managers,” Lough said. “They’ve just been helpful in any number of ways.” That work is typical of the housing placement work done by Northwest Pilot Project and several other agencies funded through the Joint Office and Multnomah County. Overall, in the 2017-18 fiscal year, more than 6,300 people were able to stay in housing and avoid homelessness. An additional 5,900 people were helped out of homelessness and back into housing.